Posh players running in the Spanish sun. Peterborough United are trying to re-create their summer team spirit on a five-day warm weather training break in Marbella. Twenty two players and eight members of the management team flew out to Spain yesterday (January 4) as part of chairman Darragh MacAnthony’s grand plan to rescue their League One campaign. Posh picked up just five points from their 10 League One matches prior to leaving the country. 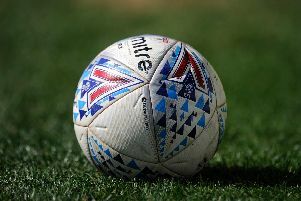 They are 11th in League One, but just two points off a play-off place, ahead of Saturday’s (January 10) fixture with Colchester at The ABAX Stadium. Manager Darren Ferguson’s position has been under severe scrutiny, but he and his staff appear to have been given the January fixrures at least to turn the season around. Posh also play Port Vale (away), Notts County (away) and Yeovil (home) before the end of the month. MacAnthony met with the management team and the playing squad on New Year’s Eve when their performance was reviewed. MacAnthony said: “We had a great team spirit in the summer and there’s no doubt that helped us get some good early results in League One. It’s gone wrong lately, but I wanted to do something positive to get us back on track so I organised this trip and sprung it on the staff when I met with them on New Year’s Eve. “It’s been a tough period for us so this is a great opportunity for everyone to bond again and for us to come back ready to mount a promotion challenge over the next 23 games. “We have fallen short of the standards we’ve set ourselves over recent seasons, but we should have everyone fit enough to do ourselves justice from this weekend. I think Jack Baldwin is the only absentee right now. “It’s too easy to use injuries as an excuse, but if we had seen Erhun Oztumer, Jon Taylor and Marcus Maddison in the same team more often, I have no doubts we would have won more games.